Classic and modern lines find each other in the design of the Brightly 1530. 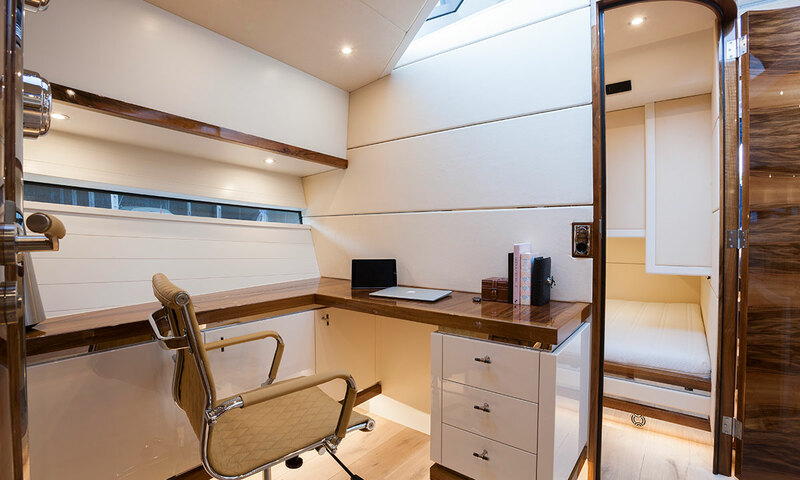 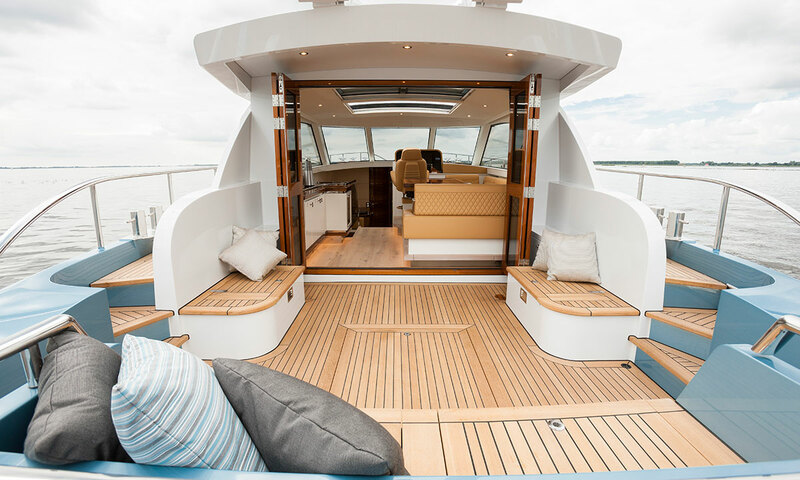 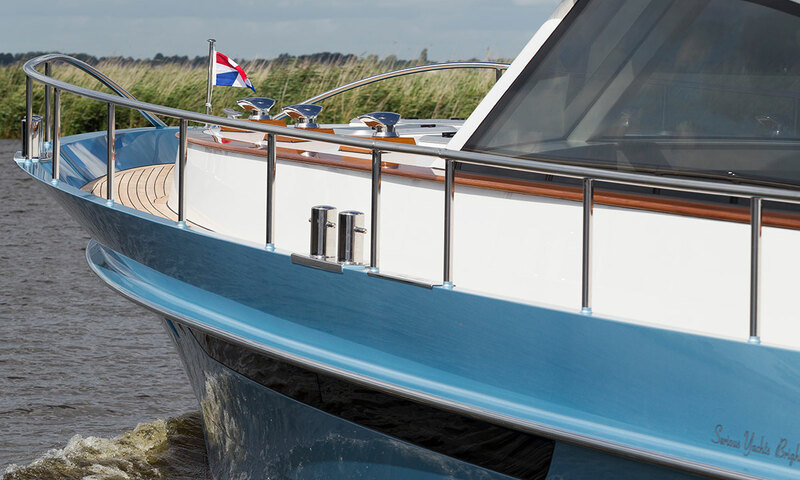 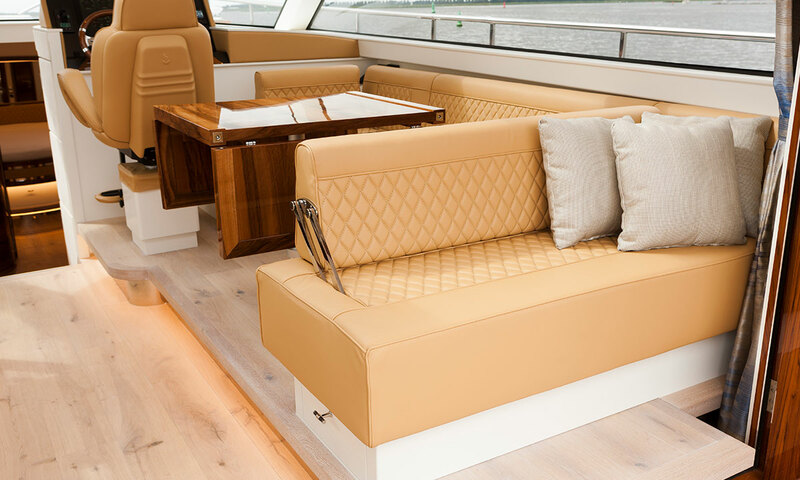 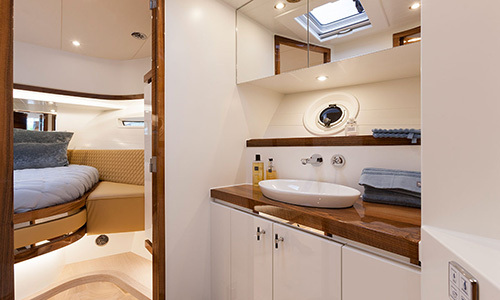 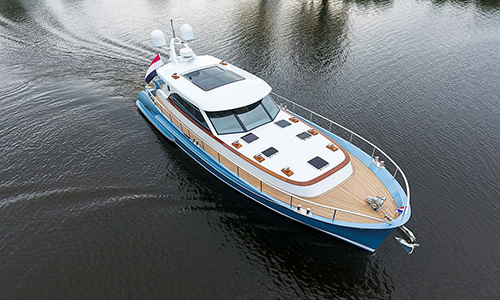 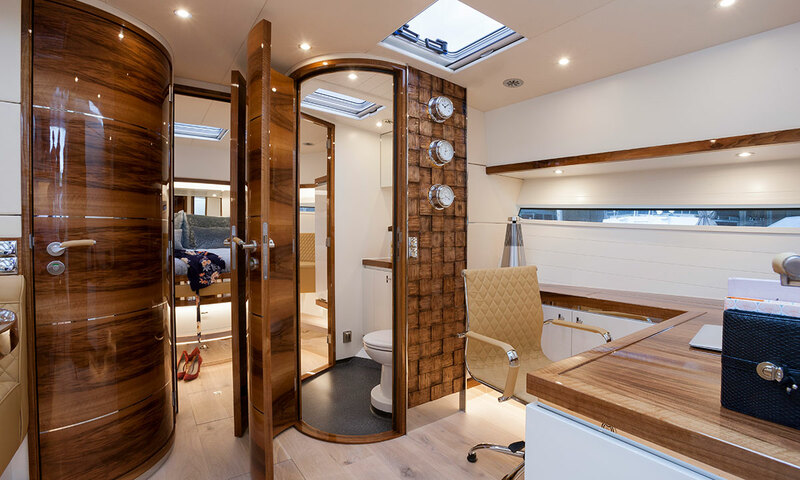 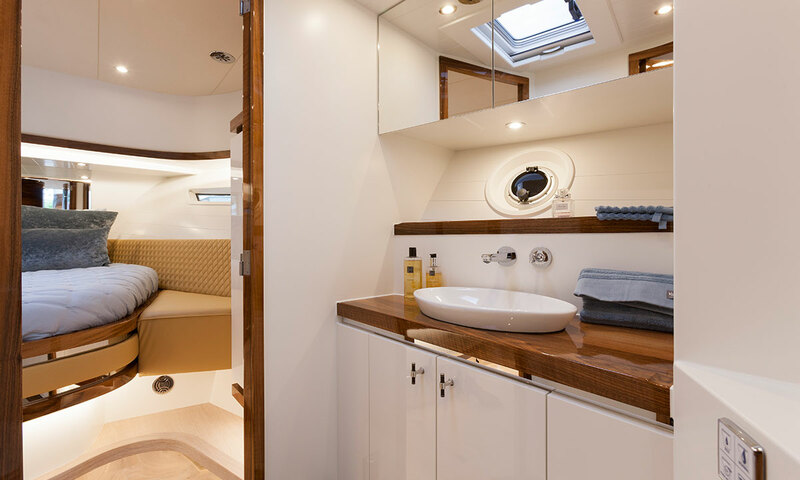 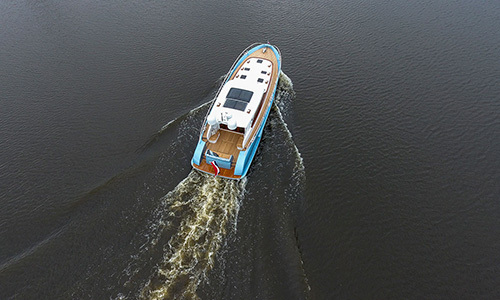 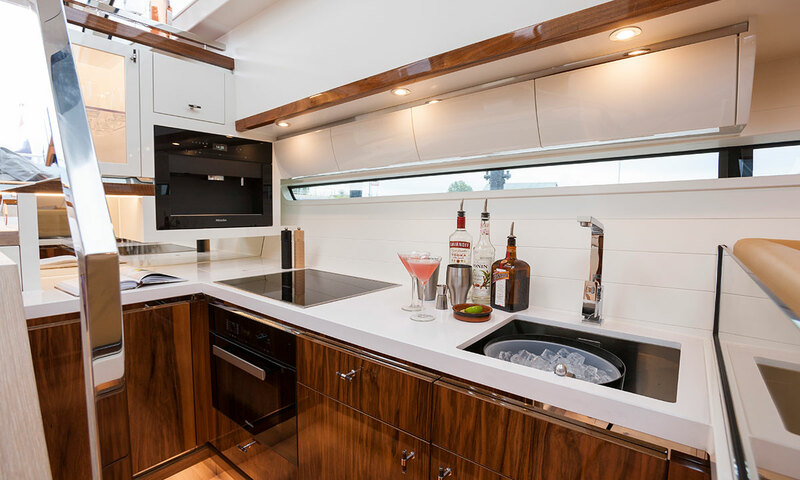 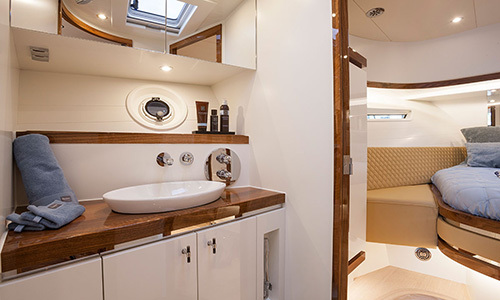 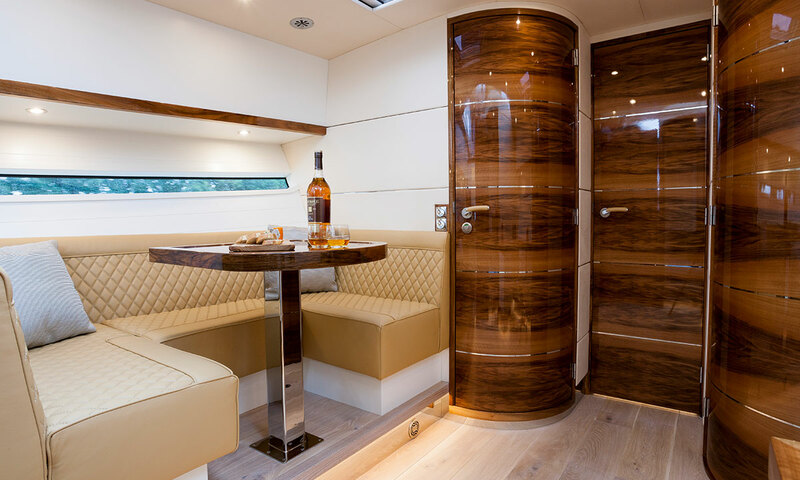 The classic flared stern and part-wooden railings endow the ship with a classic touch, which is beautifully juxtaposed by the contemporary and athletic look of the wrap-around windows and elongated foredeck. 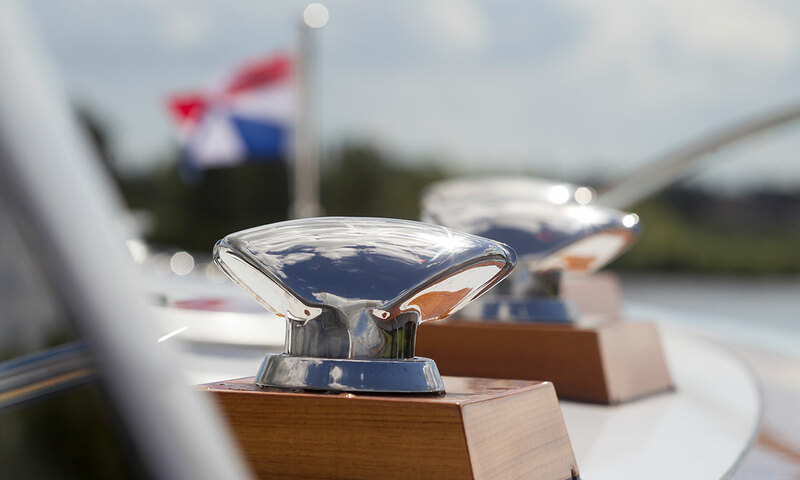 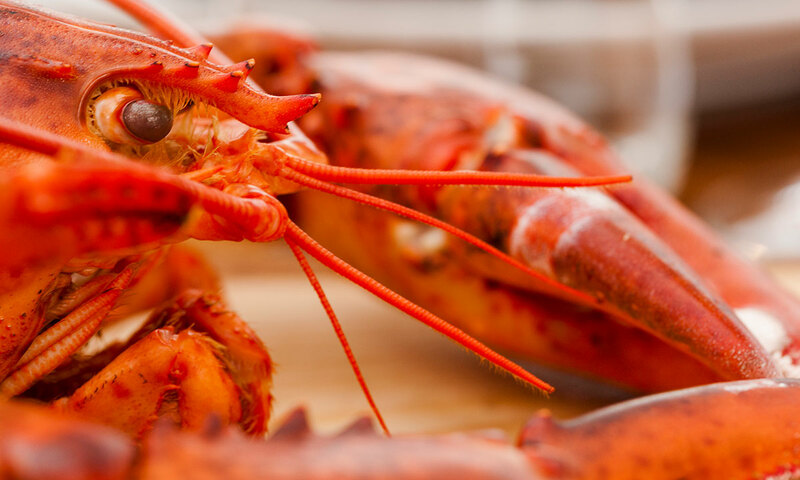 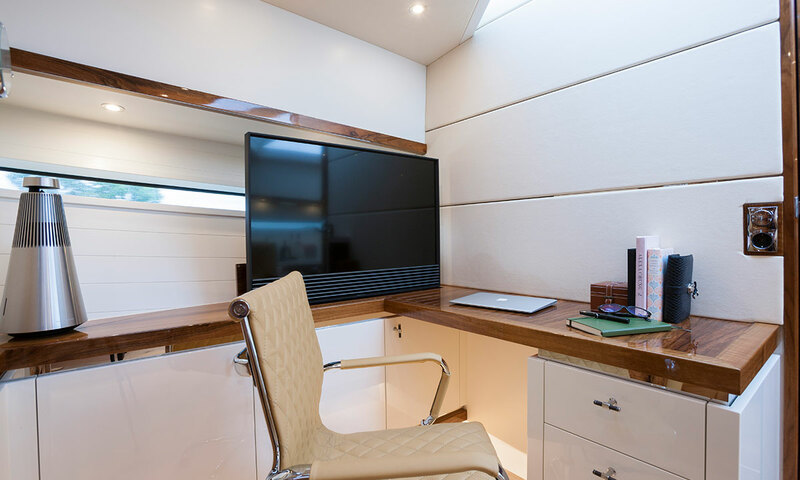 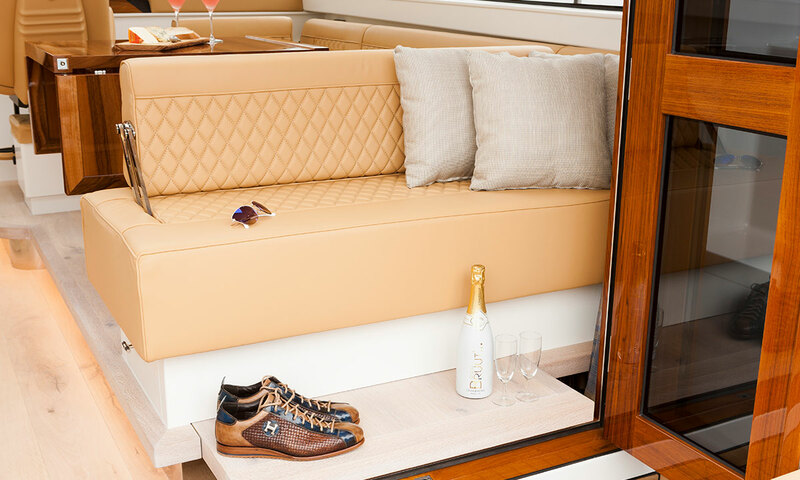 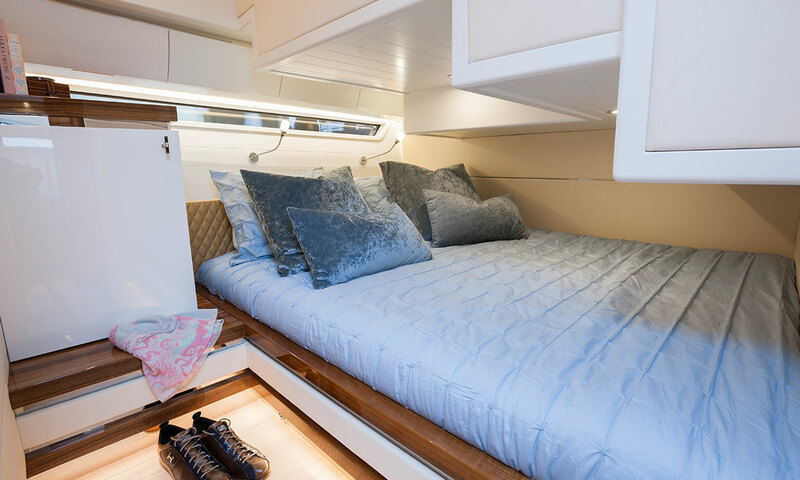 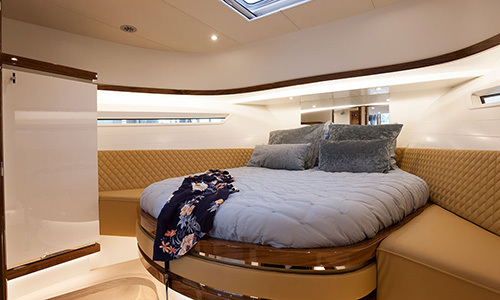 You will immediately sense the luxury and refinement that are normally reserved for only the biggest of the mega yachts when you step aboard. 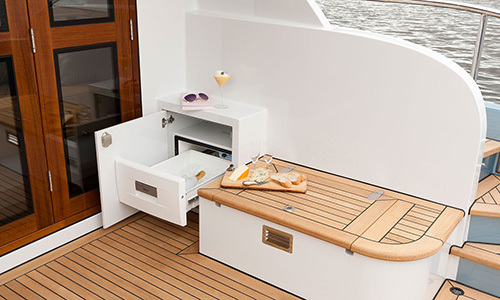 The Brightly 1530 easily exceeds everything that Serious Yachts has built over the past few years, not merely because it is our biggest yacht to date, but more so because its finishing is the very epitome of the Serious Yachts’ dedication to details and quality: from the stylish air vents for the heating to the artfully designed stainless-steel shorepower outlets – every detail was carefully crafted by hand. 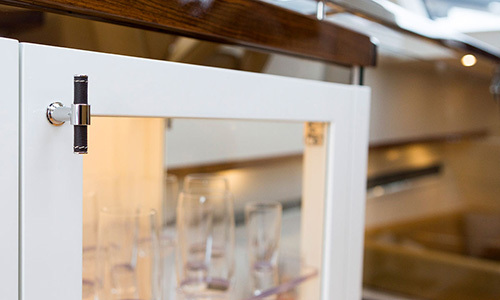 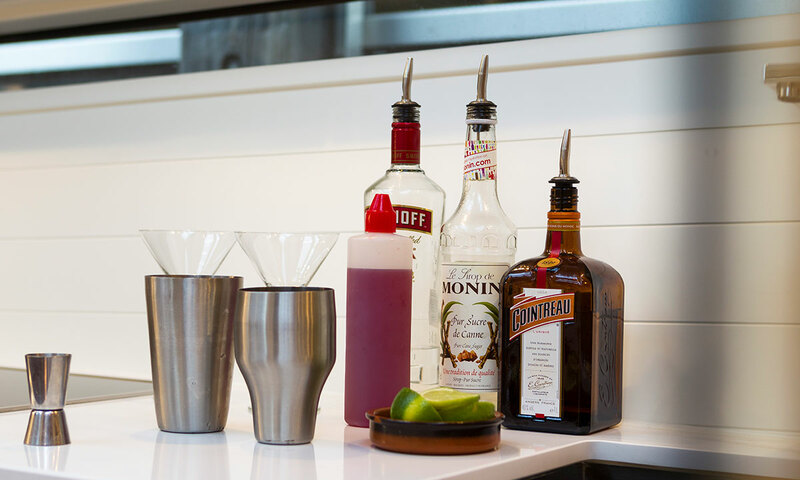 The giant high-gloss walnut doors, the oval stainless-steel railing, the furniture, and the Alcantar-covered walls and ceilings all bear witness to perfection and craftsmanship at the highest level. 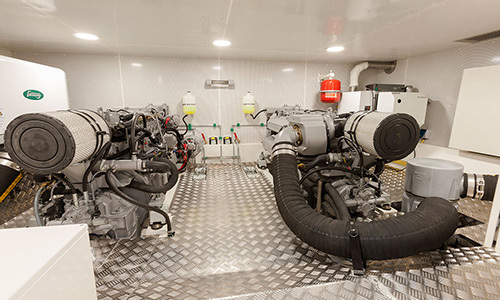 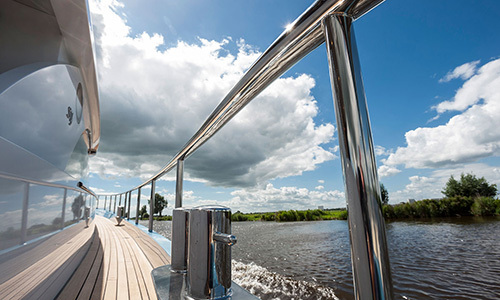 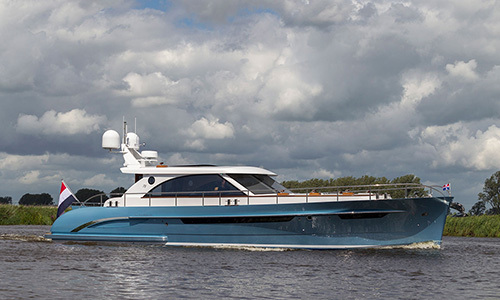 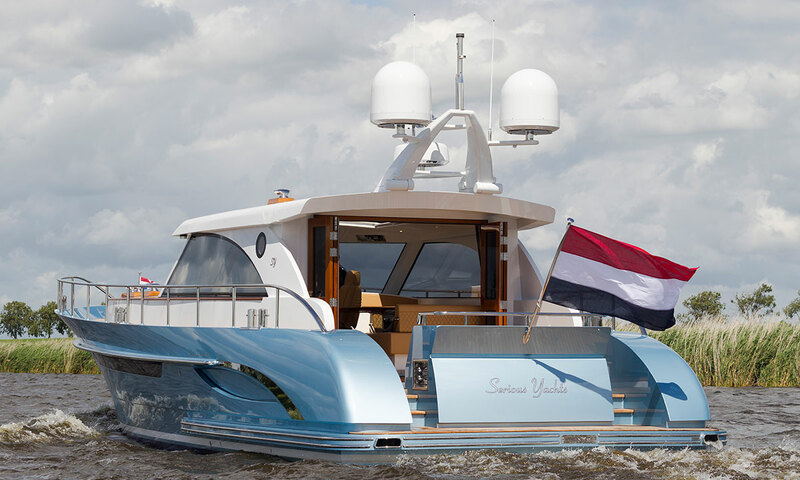 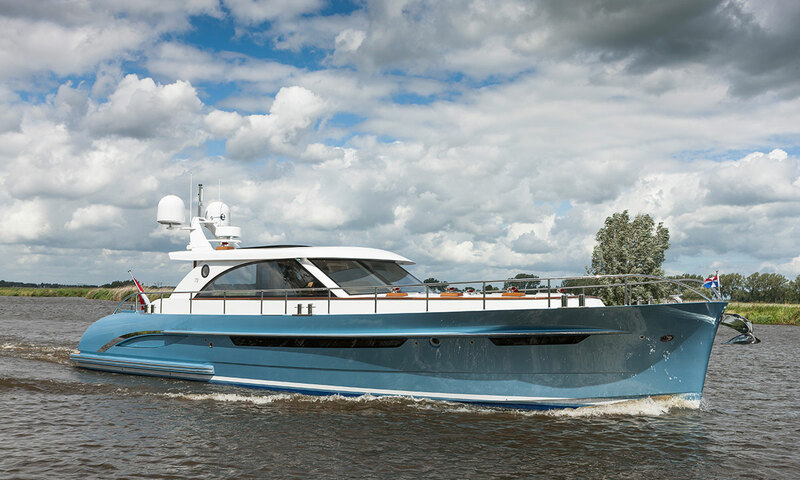 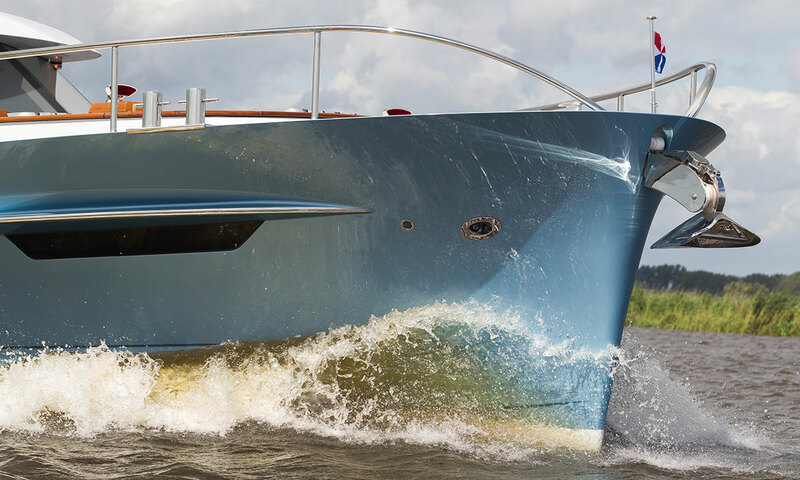 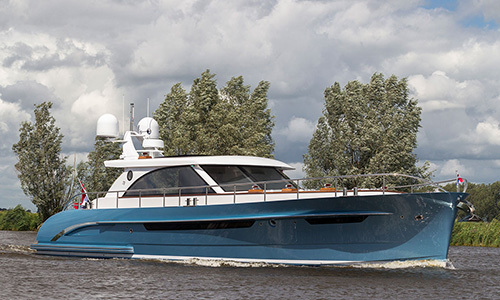 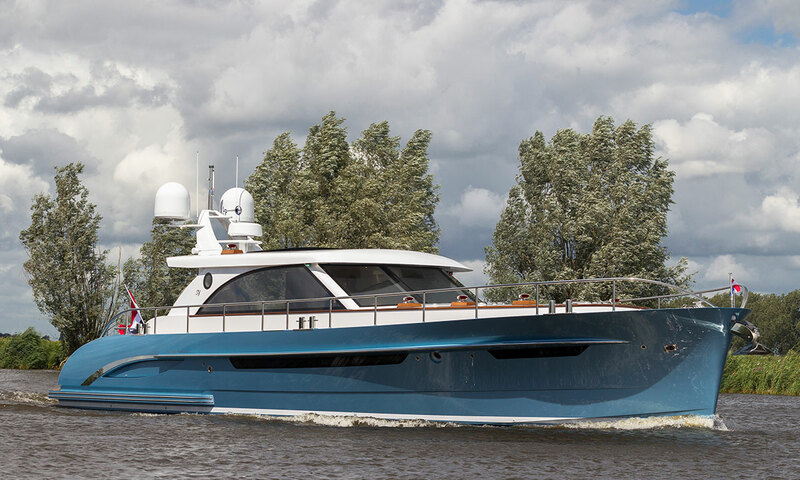 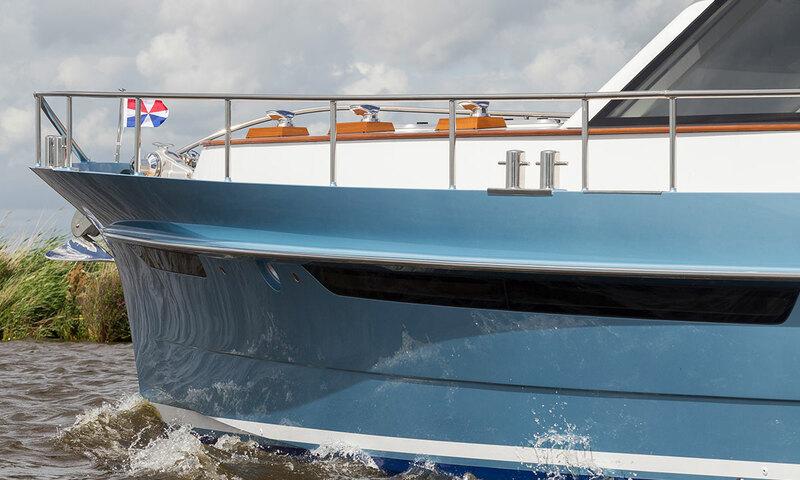 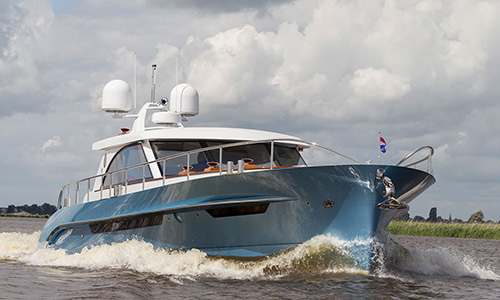 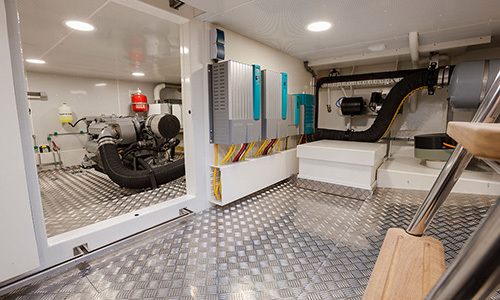 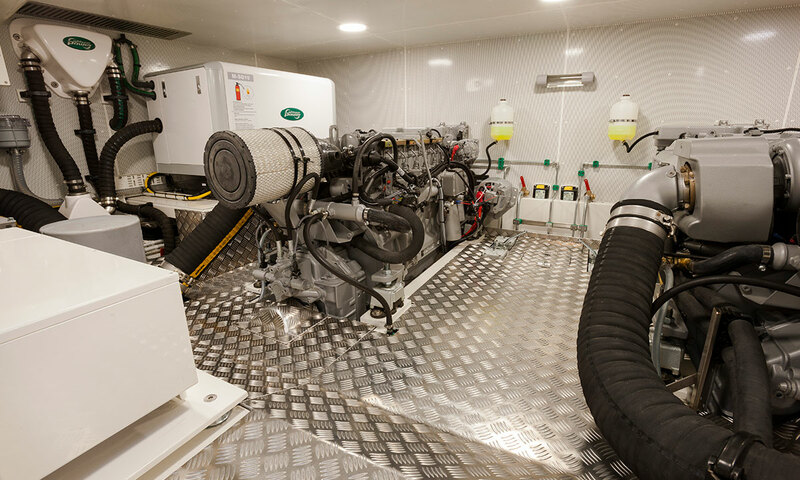 Features The 15.3-metre steel motor yacht is driven by two 170hp Vetus Deutz DT66 6 cylinder diesel engines. 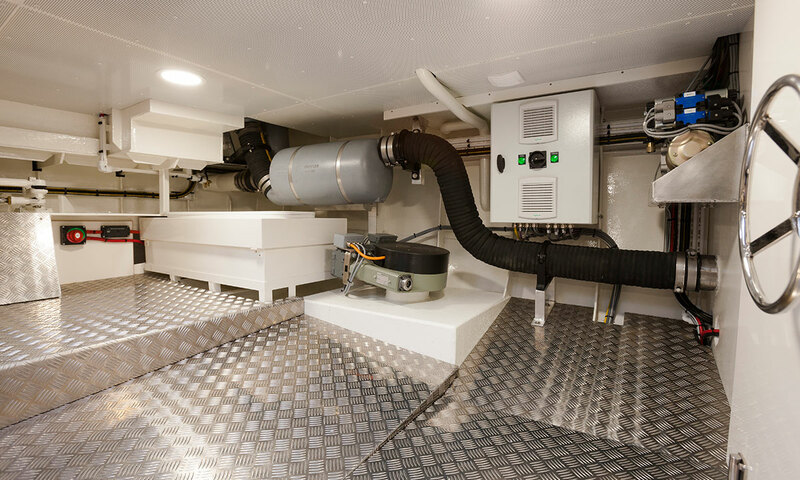 Thanks to the sophisticated noise insulation, the ship will be remarkably quiet even at full speed (approx. 11 knots). 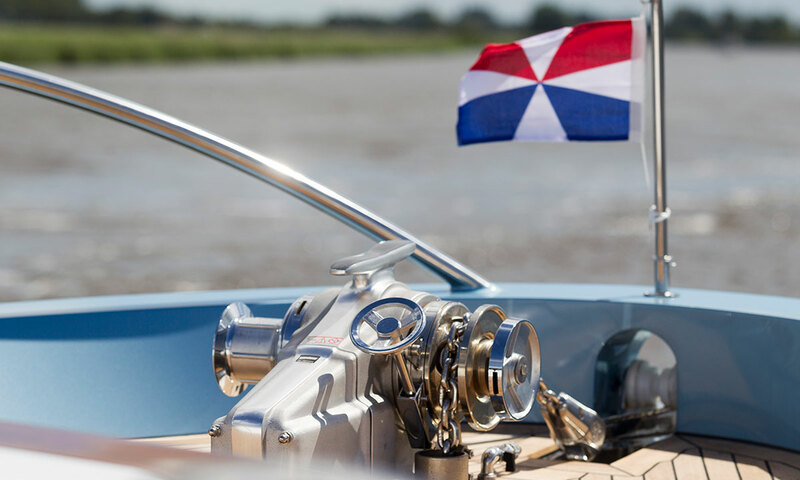 With its power steering and the proportional electrical bow and stern thruster, navigating the Brightly 1530 is child’s play. 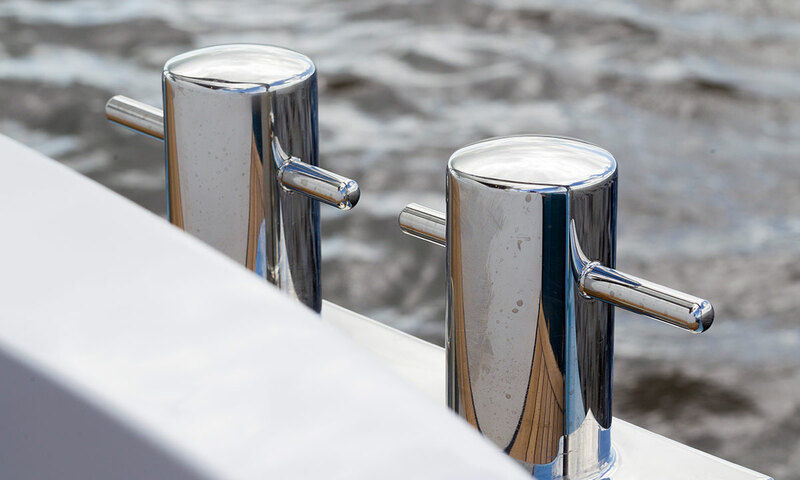 If you want, you can even control the entire yacht by remote control, which is quite convenient when passing through locks or when docking. 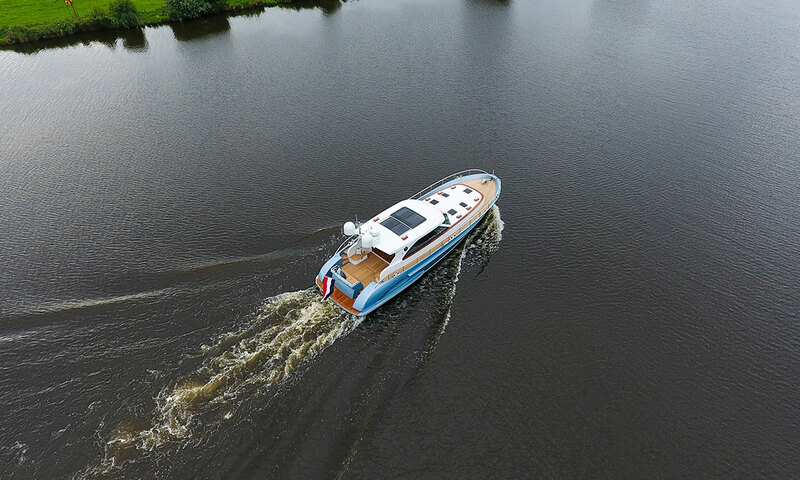 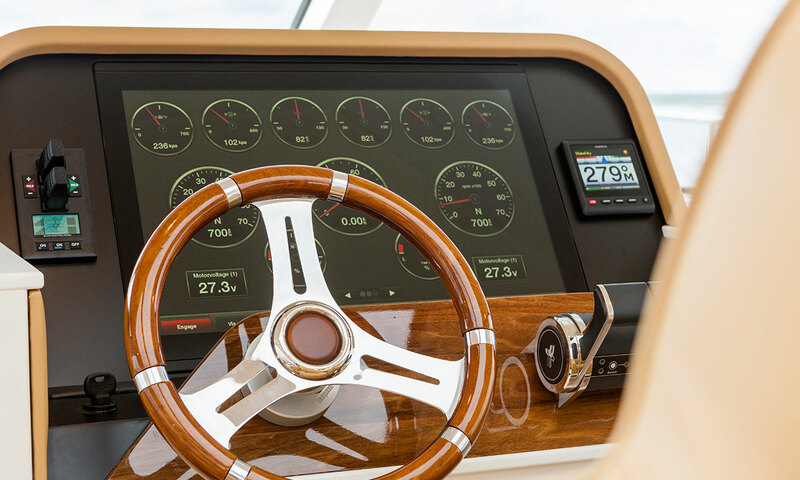 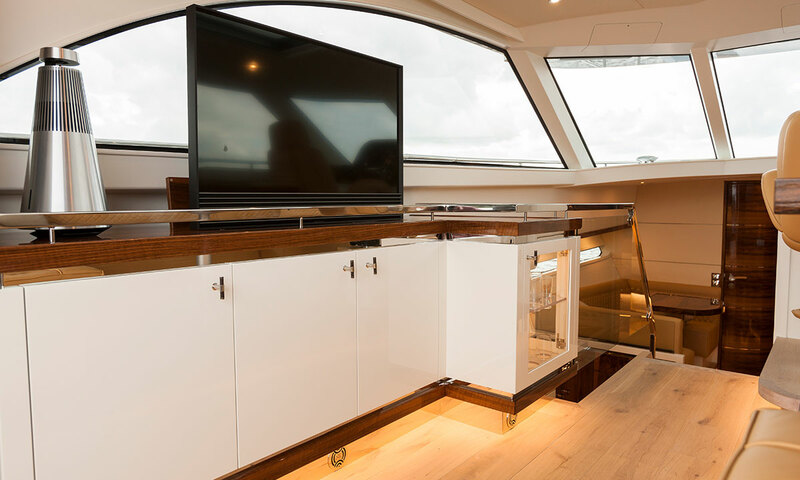 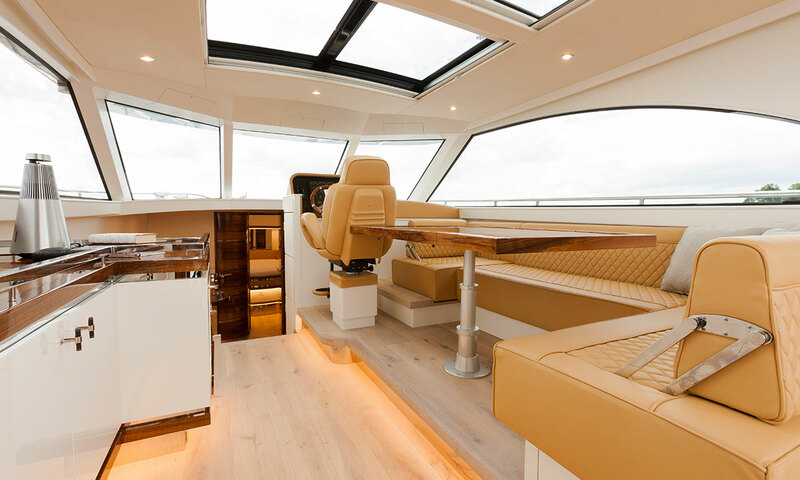 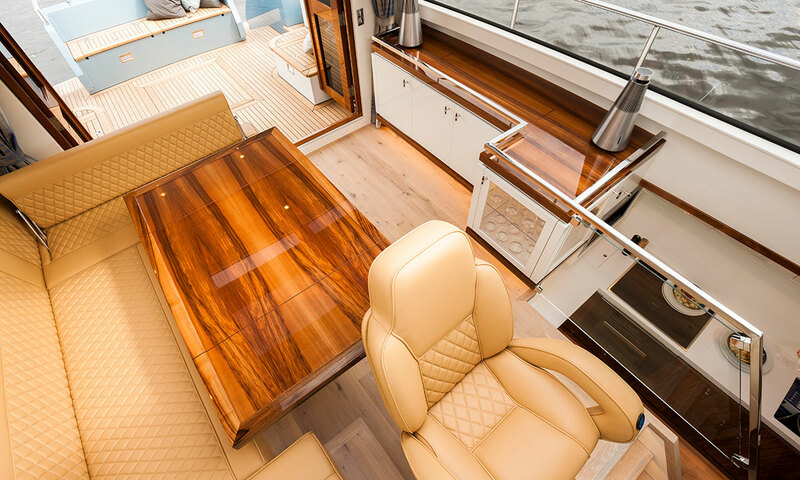 The steering position has been installed very centrally in the yacht and has been fitted with a novelty: a 24-inch C-Zone touchscreen that allows the captain to control every aspect on board: from the lights to the custom-made glass roof hatch. Using the adjustable pre-settings, this screen functions as an automation centre as one can nowadays find in many homes. 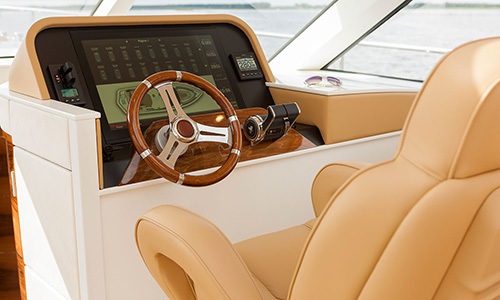 After boarding the ship, travellers can simply select the “On Board” setting and the ship will turn on all necessary equipment and features. 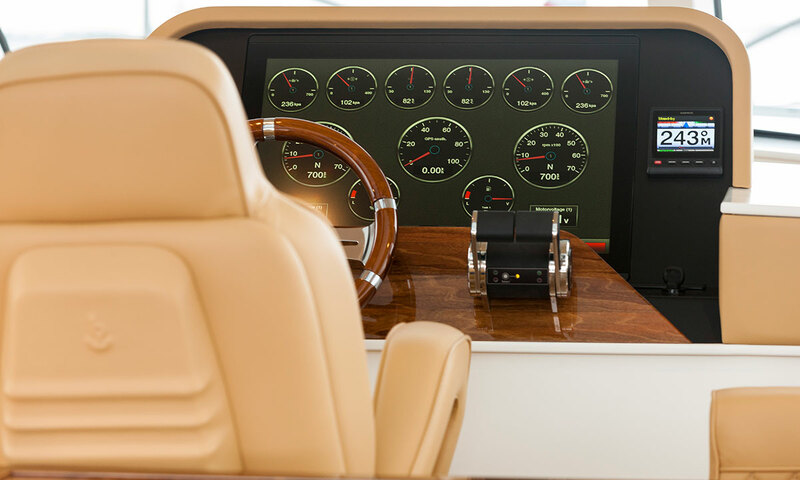 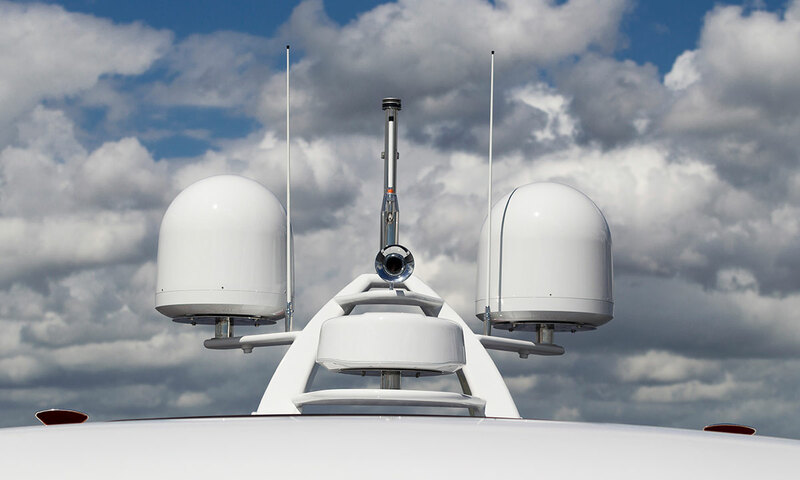 The large size of the screen makes it possible to keep an eye on the radar screen and several essential gauges and metres at the same time. And everything is completely customisable to the owner’s wishes. 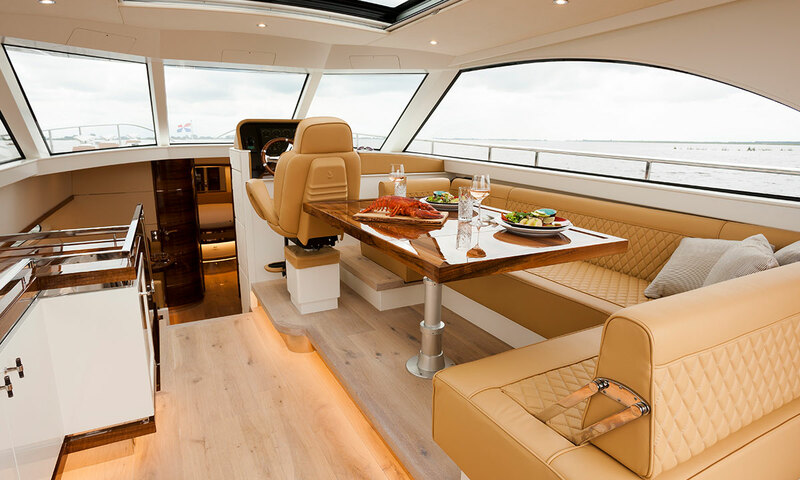 In order to be irreplaceable one must always be different . 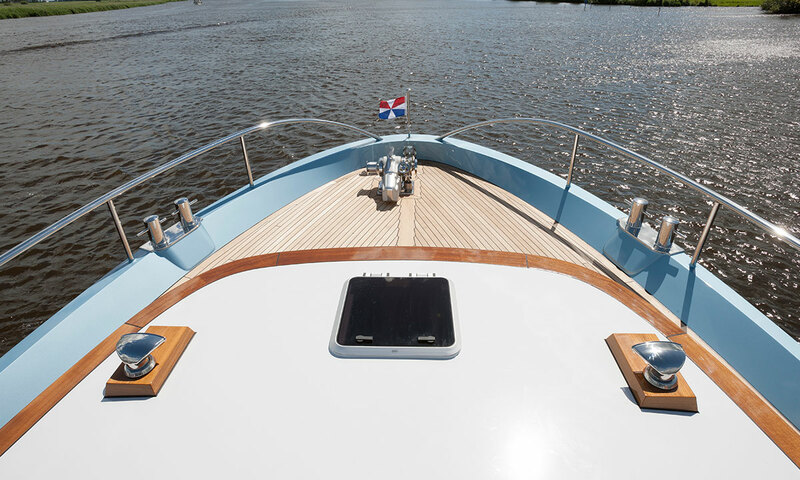 Length / Width / Draught 15,30 / 4,75 / 1,30 m.
Skipper Magazine tested the Brightly 1530 and labeled the yacht as ‘a prestigious motor yacht of the very best quality”. 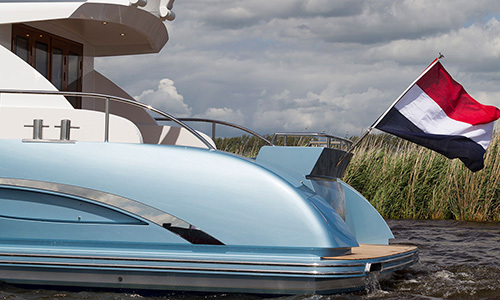 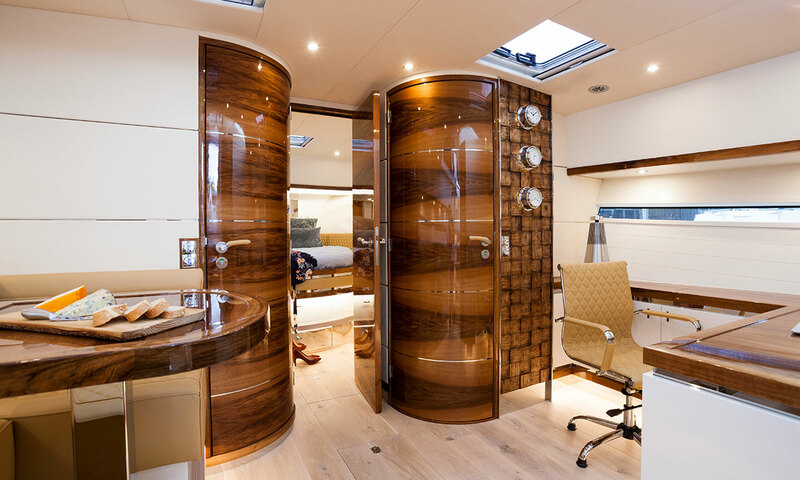 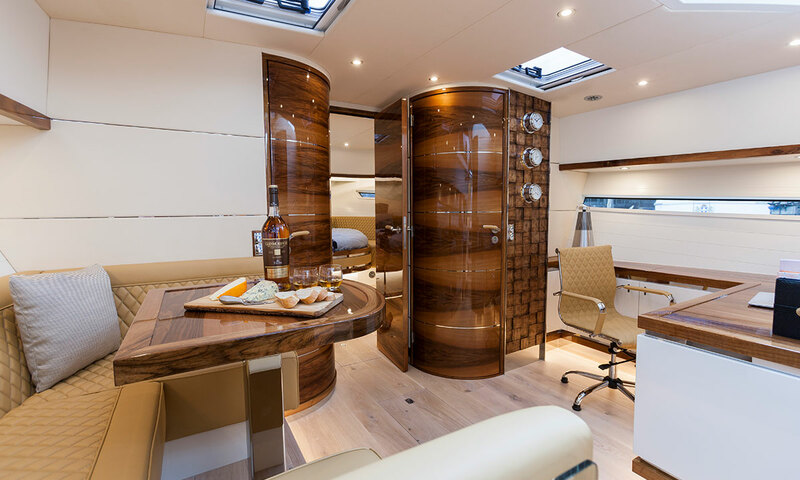 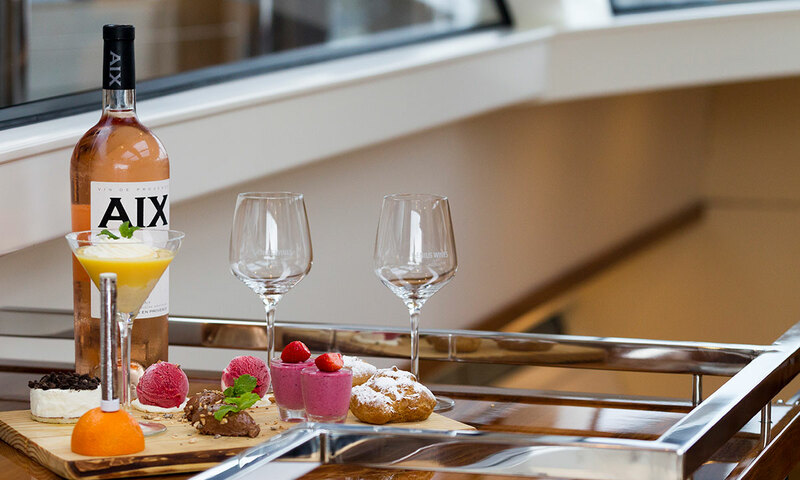 Has this yacht inspired you, but you would like to add your own twist? 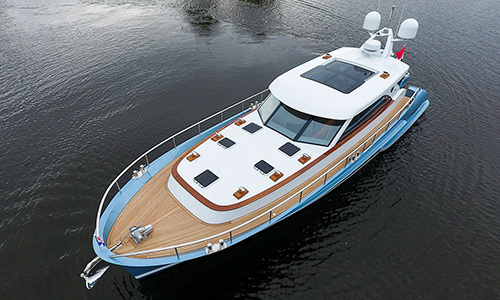 Are you interested in this yacht and wish to hear more about all the options? 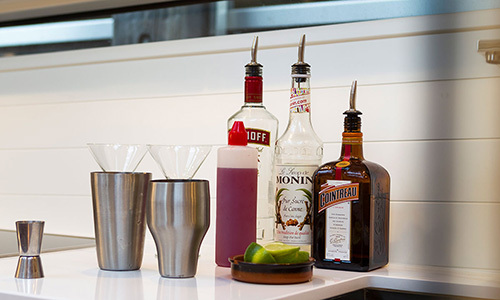 Are you curious about the costs involved and would like to review more specifications?